FRANKLIN, Pa. – The Pennsylvania Game Commission has charged an Erie County man with killing a bald eagle. Daniel Haddix, of Waterford, was charged unlawful taking or possession of game or wildlife for shooting and killing a mature bald eagle. If found guilty, the fine will range from $100 to $200, plus court costs. Restitution for the bald eagle is $2,500. On Oct. 12, State Game Warden Michael Stutts was sent to investigate a report of a dead bald eagle in McKean Township field near South Hill Road. The recently killed eagle was found across the road from Haddix’s home. After several interviews, SGW Stutts concluded Haddix was responsible. Haddix also faces a safety zone charge for shooting the firearm too close to a neighboring home. Citations were filed at Magisterial District Judge Denise Stuck-Lewis’ office in McKean, Pennsylvania. Bald eagles were listed as federally endangered species until 1995, when their status was upgraded to “threatened.” In 2007, following a remarkable population recovery, the bald eagle was removed from the federal List of Endangered and Threatened Wildlife in the lower 48 states. Although no longer listed on federal and state endangered species lists, the bald eagle remains protected under the federal Bald and Golden Eagle Protection Act, the Lacey Act and the Migratory Bird Protection Treaty Act. 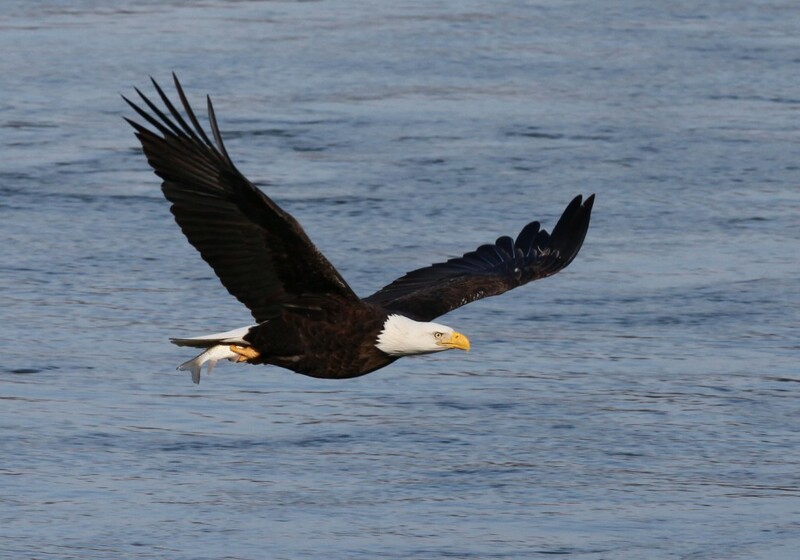 In Pennsylvania, the bald eagle is given additional protections under the state Game and Wildlife Code.